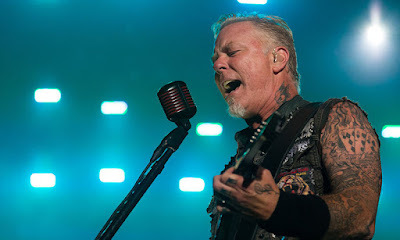 Metallica performed their 1986 classic, “Welcome Home (Sanitarium)”, at Outside Lands in San Francisco, CA at Golden Gate Park on August 12, and the band are sharing professional footage from the event. The song appeared on the group’s legendary third record, “Master Of Puppets.” Metallica’s major label debut became thrash metal's first platinum album on its way to US sales of more than 6 million copies. The band wrapped up the four-month trek with a hennemusic live broadcast stream from Commonwealth Stadium in Edmonton, AB on August 16, which can be seen in its entirety here. Metallica will begin a European arena tour at the Royal Arena in Copenhagen, Denmark on September 2.